Build it and they won’t come! 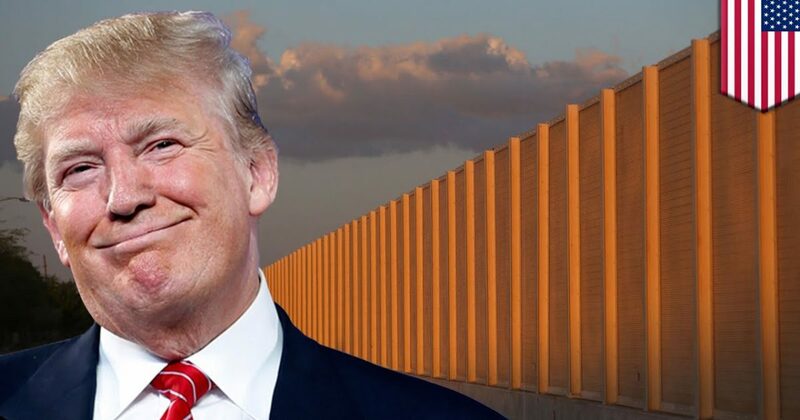 The House Homeland Security Committee passed legislation Wednesday that would provide $10 billion toward President Trump’s wall on the U.S.-Mexico border, a step toward possible consideration on the House floor, according to the Washington Examiner. The committee passed Wednesday afternoon in a party-line vote, after dismissing all Democratic amendments. The committee vote is a significant step toward implementing President Trump’s goal of building a border wall, which otherwise has been stalled. Trump himself agreed to delay money for the wall last month in order to quickly resolve a fight over raising the debt ceiling and extending federal spending for the first few months of the new fiscal year. It’s still not clear when or whether House Republicans will bring the bill to the floor. However, House Majority Leader Kevin McCarthy said last week that Trump was receptive to the idea of including some form of border security in a bill creating a program to protect immigrants who were brought to the U.S. as children. Committee Chairman Michael McCaul, R-Texas, introduced the bill in July, and it has more than 70 Republican co-sponsors, but no Democratic support. McCaul’s committee on Wednesday rejected every Democratic amendment before voting to approve the bill. “We have been talking about border security for so many years and now we finally have a chance to get this done. We finally have a partner in the White House who has prioritized this issue. It’s time for Congress to do its part and get this done,” McCaul said during the committee markup. Democrats criticized the bill throughout the process. “It is a $15 billion boondoggle that abandons past bipartisan efforts to stop throwing money at the border in an ad-hoc way in favor of strategically deploying resources,” Rep. Bennie Thompson, D-Miss., said in his opening remarks. Rep. Filemon Vela, D-Texas added that the bill could have “dire consequences” on a wildlife refuge located in his district that houses rare butterflies. The legislation includes $10 billion to secure the border through a “border wall system” that includes projects related to the wall, fencing, technology, air assets and other barriers. It also includes another $5 billion to modernize ports of entry, including the hiring an additional 5,000 Border Patrol agents and 5,000 Customs and Border Protection officers in a way that simplifies how veterans and law enforcement officers can be hired. Border states that have called in the National Guard to help secure portions of the U.S.-Mexico boundary will be reimbursed with up to $35 million. The Biometric Entry-Exit System, a digital method of tracking visa recipients, will be implemented at all ports of entry in order to track immigrants who overstay, according to the bill.